One of five men on trial over alleged historical physical abuse of boarding school pupils has been found not guilty of the only charge he was facing. John Studley was acquitted of one assault allegation on the direction of Judge James Adkin at Carlisle Crown Court. 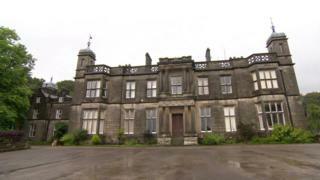 Mr Studley, 66, of Silverdale in Lancashire, had denied assaulting a boy at Underley Hall School, near Kirkby Lonsdale, in the 1980s. Four other men remain on trial. After legal discussions, Judge Adkin told jurors he was withdrawing the count against Mr Studley and said "there is no evidence to prove the allegation" against him. This came in the third week of the trial after his alleged victim gave evidence at the court. Mr Studley was then formally acquitted of the allegation. Underley Hall's 77-year-old former owner, Derrick Cooper, of Hillberry Green, Douglas, Isle of Man, denies six charges alleging actual bodily harm assault and further denies two child cruelty allegations. Two former teachers and an ex-maintenance man each deny one actual bodily harm assault allegation. David Hadwin, 71, of Raygarth Gardens, Kirkby Lonsdale.